NMN has been shown to be effective in research with mice in combatting nearly all age related disease such as Parkinson’s, Alzheimers, heart disease diabetes, cancer, and more. One area where it has shown a very strong effect in mice is reversing Sarcopenia (muscle wasting). Dr Sinclair’s most recent research gave NMN to old mice for 2 months and found their strength and endurance nearly doubled (r). Examination of their muscles showed they were indistinguishable from those of young mice. They also grew new blood vessels and greatly increased capillary density. This was in OLD mice, the equivalent of 90 year old humans! Researchers are hopeful that the same results will apply to humans, but 2 months in mice is equivalent to several years in humans. The longer lifespan and understandable caution in research with humans means it will be years, if not decades, before it is proven. Using our protocol of frequent doses of NMN taken sublingually, we have seen the same restoration of muscle strength and endurance as the mice in Dr Sinclair’s research, in a very short time. 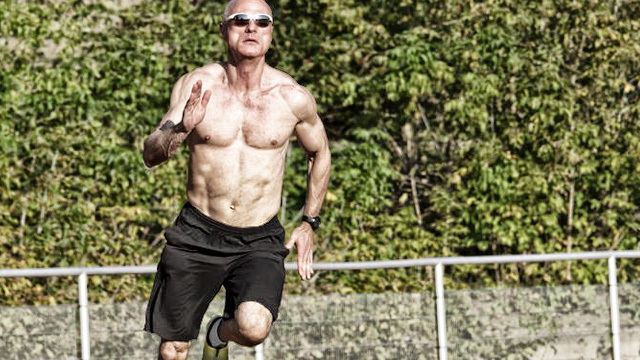 Not for the muscle growth, and what that can mean for seniors to avoid Sarcopenia, but what the vascular growth will do for combatting all age related disease. Greatly increased muscle growth and sports performance are just the fastest and easiest to demonstrate. We don’t want to wait for 5 years for researchers. Our goal here is to document some results to speed the discovery process. So we are running this contest to elicit some verified proof of results from our customers. We will provide our NMN powder and sublingual tablets to 40 people, with cash prizes up to $2,000 each for those that demonstrate the most dramatic, proven results from using our product. Our ideal is triathletes, runners, or weight-lifters who have a long history of competition that can be verified. 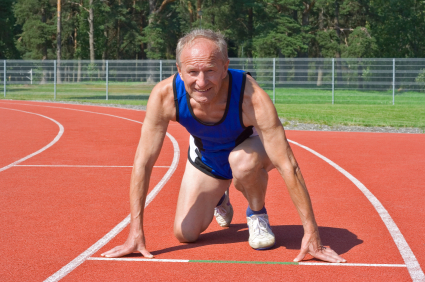 We are confident that taking frequent doses of NMN can help such older athletes make dramatic improvement in their performance and serve as a strong testimonial for the power of sublingual NMN. Let us know the category you wish to participate in, your picture and name to use, age, and plan for dosage you will take. We will send NMN powder and tablets (totally FREE) to the first 40 people to sign up for the contest. let old age creep up on me and call my friends for my Viking Funeral. But in my zeal to go out comfortably by preparing my own natural food meals, that helped boost my immune system, I discovered the Hope of extending my life with Quality promised in the early Basis products. The answer came in NMN, far more effective in reducing my arthritis, by energizing me to play Pickle ball sport three times a week for 9 hours of exercise that conditioned me to challenge my Juniors 20 years younger in competition Tournament play, and WIN! NMN is responsible for regaining my life style of my 50’s! I feel and live now as I did twenty years younger. I’m not sure if I’ll live a day longer, but I’m enjoying my life again, Fully Alive and would not live without it. Many of my Pickle ball play friends have witnessed this increased skill level, and are inspired to try this new found Hope to enjoy life as it was offered , as a Gift. Ben Yglesias, March 21, 1941. I’ve just started taking powder and tablets sublingually this week. I am 59 years old, hypothyroid and diagnosed with rheumatoid arthritis. I have trained in martial arts for 40 years, 10 years military service, 10 years as a police officer. I’ve run triathlons and competed in Judo and Karate tournaments as well as tactical pistol and rifle competitions. I was diagnosed with RA 4 years ago and have been getting progressively worse, especially in my shoulders, knees and hips. The pain changes in intensity depending on how much of a flare up I’m having, but I couldn’t work out nearly as much or as hard as I’ve wanted to. Fast forward, I’ve been using your sublingual protocol, once every two hours for the past week, and almost like magic, my pain is gone and my range of motion is almost fully restored. One of the characteristics of RA is soreness and stiffness upon rising, and I can honestly say that my pain has decreased 80-90%. I’ m hitting my elliptical trainer harder than I have in years and I’ve started back doing standing shoulder presses with dumbbells (light to start, I ain’t stupid 😉 ) every day. Have you given any thought to gathering evidence on folks like me with diagnosed “aging” and autoimmune disorders? Given, the rapid turnaround I’ve experienced, I’m cautiously optimistic. I’m able to sleep comfortably at night without having to turn over when the pain in a hip or a shoulder gets too bad. In fact, I haven’t had much pain at all for the last two nights. I’m not on prescription drugs, but I do take Alleve for the pain. I’ve reduced that to about half my normal dose and I’m thinking about quitting it altogether. Thoughts? I can see why NMN would stop my immune system from attacking what it thinks are cells that should be purged if those cells should suddenly become healthy again, but I don’t know how it’s happening. All I can say is it’s very cool. Thats great Jack. Very similar to me. I had pain in many areas, and problems sleeping from them (mostly back). It faded slower for me, because I was only taking twice per day. 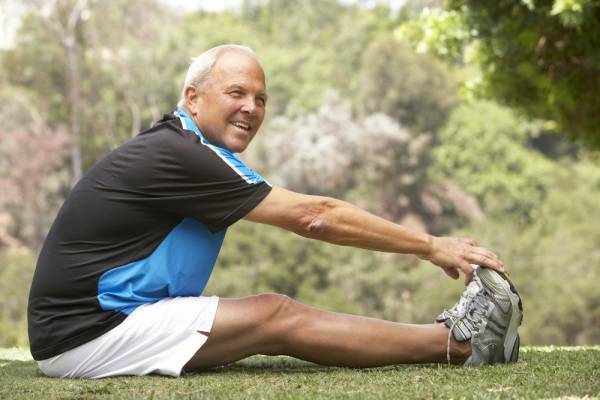 Once I increased to 4, 6, 8 times a day, pain relief sped up and was able to exercise more and harder. I quit taking ibuprofen for pain a few months back, and dropped the tryptophan, melatonin for sleep, and curcumin, green tea, Boswellia for inflammation. We do greatly value such testimonials and will gather them, but it is hard to do in such a way that readers trust we don’t make them up or have friends make them up. The contest is more verifiable, especially with those that have a long history of competition that can be checked online.